Kick off your visit on the 27th (Mon): contemplate in the serene atmosphere at Temple of the Reclining Buddha (Wat Pho), then step into the grandiose world of The Grand Palace, then take in the spiritual surroundings of Temple of the Emerald Buddha (Wat Phra Kaew), and finally contemplate in the serene atmosphere at Temple of Dawn (Wat Arun). On the 28th (Tue), you'll have a packed day of sightseeing: explore the world behind art at Bangkok Art & Culture Centre (BACC) and then see the interesting displays at Jim Thompson House. 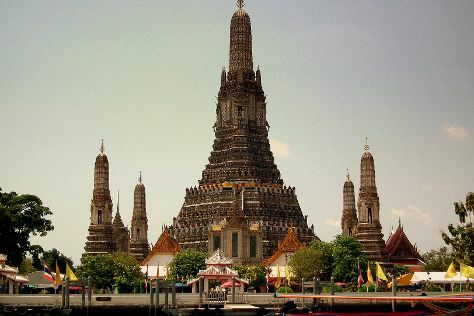 To find maps, traveler tips, other places to visit, and more tourist information, refer to the Bangkok travel guide. If you are flying in from United States, the closest major airports are Don Mueang International Airport and Suvarnabhumi Airport. Expect a daytime high around 93°F in June, and nighttime lows around 79°F.